Nerf Nuke | Nerd Much? If you’re currently deep in the trenches of a seemingly never-ending NERF war, it might be time to think of a new tactic. We suggest a nuke. Not a real nuke, though, but a Nerf Nuke. 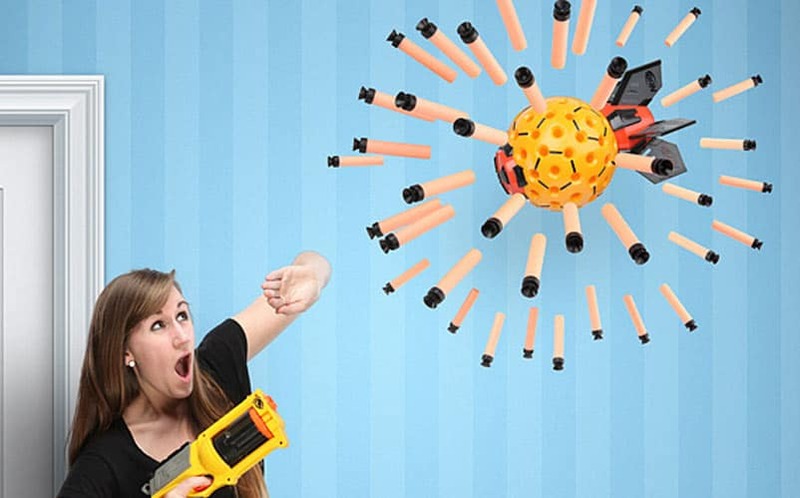 This is the pinnacle of NERF weaponry, and it’ll surely defeat your foes by dealing a devastating, unavoidable blow. It’s loaded with 80 NERF darts (included) that will launch up to 30 feet when it hits. There’s also an included 5-ft tripod-mounted high-powered launcher. Or, you can choose to just throw it like a mega-sized grenade. Stay tuned to Nerd Much for more cool stuff you likely don’t need.